Scott C - Childrens Entertainer - Neil Drover - agency for live music, presenters and entertainers. With mesmerising Magic, Balloon Shaping, a big personality and a fantastic sense of fun Scott C is a Magician who always takes a trick with kids. 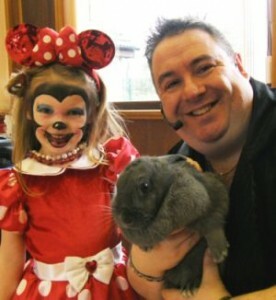 He brings the wow factor to kids parties!